Aromatherapy is a complementary therapy that uses essential oils from plants and flowers. Designed to treat the whole body, aromatherapy aims to assist the body’s natural abilities to heal, rest and recover from stress and illness. Aromatherapy has been used for hundreds of years and research into its uses continues to grow. On this page, we’ll explore the benefits of aromatherapy, look into what it can help with and discuss the different ways it can be used. 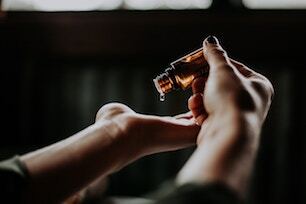 While plant oils and herbs have been used for medicinal purposes for thousands of years, aromatherapy is believed to have originated in 1928 when a French chemist, René-Maurice Gattefossé accidentally burnt his hand. In reaction to the burn, Gattefossé plunged his hand into the nearby vat of lavender oil. When the burn healed quickly and he was left with no scar, he felt compelled to investigate the oil further. Aromatherapy is now one of the most popular forms of complementary therapy. Essential oils are used with the hope of treating and preventing illness, as well as encouraging rest and relaxation. For this reason, aromatherapy is especially beneficial for stress-related concerns like headaches, insomnia and anxiety. An aromatherapist can target the cause of stress and create a personal plan (and suitable concoction of essential oils) for the individual. Aromatherapy typically works in two different ways, through sense of smell and through skin absorption. Let’s look at skin absorption first; many essential oils contain anti-inflammatory properties and may be applied to the skin to fight infection or relieve pain. It’s important to consult with a professional aromatherapist before trying this and if you suspect an infection, it’s important to consult your GP. Perhaps the most common use of essential oils on the body, however, is through aromatherapy massage. During a massage, essential oils are added to a carrier oil to dilute the mixture and massaged into the skin. An aromatherapy massage usually lasts between one hour and 90 minutes. The oils used will be tailored to suit your specific requirements. Can help to lift mood (physical touch boosts our happy hormones). Promotes relaxation, reducing stress and improving your sense of well-being. Reduces nervous tension (our bodies hold a lot of psychological tension when we’re stressed, so releasing this can be helpful). Stimulates the body’s immune system, protecting itself from illness. Eases muscle tension (making you feel more relaxed and soothing aching muscles). Encourages lymphatic drainage, helping to reduce fluid and toxin build-up. Boosts circulation (helping blood and oxygen circulate the body to promote healing). The other way aromatherapy is commonly used is through inhalation or smelling essential oils. Our sense of smell is directly linked to the brain, which is why we react in different ways to each scent. When the brain receives a smell, it sets off a reaction in the body. This is where you may feel hunger, feel energised or relaxed. The nerves in our nose can also recognise smells and link them with a memory, which is why certain scents can make you feel happy or sad. Aromatherapy is now being recognised in the science world and is listed on The NHS Directory of Complementary and Alternative Practitioners. It has gained steam in palliative care and is increasingly used alongside conventional treatment. Research into its effectiveness is encouraging and continues to grow. To find out if aromatherapy will work for you, speak to a qualified aromatherapist to ensure you are utilising the oils’ properties and getting the best out of the therapy. Stress - Certain scents can trigger a relaxation response in the brain. When combined with massage especially, it can help to reduce feelings of stress. Understanding the cause of your stress and increasing self-care practices can help you keep on top of stress. Anxiety - Studies have found that aromatherapy can have a positive effect on those living with anxiety. As a complementary therapy, it is best used alongside other therapies such as talking therapy. Insomnia - Many people find aromatherapy a helpful aid for sleep. Burning a relaxing scent in your home or adding essential oils to a warm, evening bath can help prepare your body and mind for sleep. Dementia - The interest in the effects of aromatherapy for conditions such as dementia continues to grow. 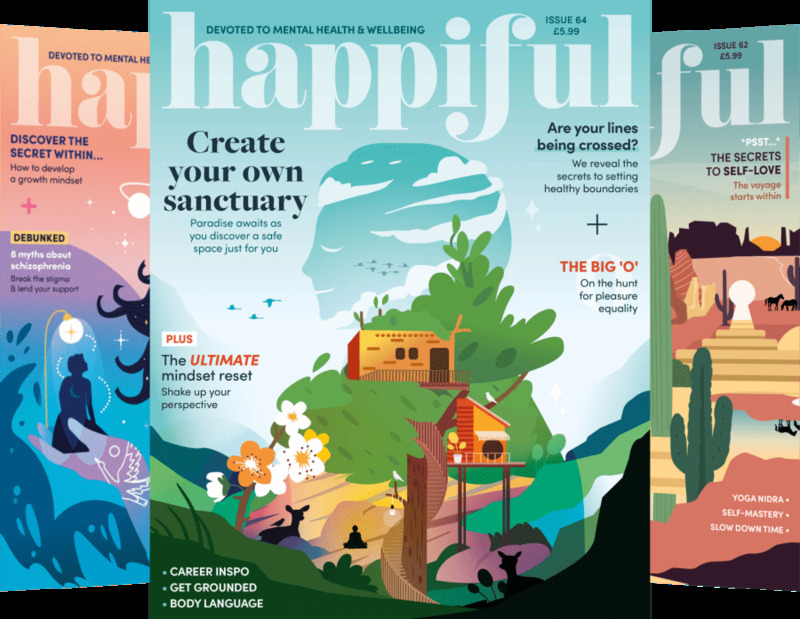 Research into the therapy revealed many benefits and the National Institute for Health and Care Excellence (NICE) suggests it may help treat feelings of agitation in those with dementia. Chronic pain - Aromatherapy is thought to be especially helpful for easing any chronic pain-related anxiety. If the pain is muscular, a massage using essential oils may be helpful. As with any new therapy, please consult your GP before starting. Cancer - Aromatherapy may help to reduce pain and anxiety for those with cancer in the short-term. According to Cancer Research UK, many people with cancer turn to aromatherapy. It appears to make patients feel happier and more able to cope with the changes happening. Palliative care - Aromatherapy massage is becoming increasingly popular in palliative care. The combination of scent and massage is thought to help patients feel more relaxed and comfortable. During your initial consultation, your aromatherapist will ask you what you would like to use aromatherapy to help with, your lifestyle, general health and well-being. They may also discuss your medical history to gain a full picture of your health before starting. Once you have discussed the reasons and your desired outcome, the aromatherapist will suggest a treatment plan. The personalised treatment plan will likely include at-home treatments and aromatherapy massage sessions. On average, a full series of treatments include around 10 sessions, though you may only need one. Each individual is different and the duration of the course will depend on your circumstances. If you are suffering from an illness, you may be required to consult your GP before any sessions. This is because aromatherapy is a complementary therapy. It is designed to work in harmony with any other treatments you may be receiving. The aromatherapist will discuss the available oils and the properties they hold. Together you will choose the essential oils that will be most effective in managing your symptoms. Provided they are used correctly, essential oils are safe to use. The oils should never be swallowed or massaged into broken skin. If you suffer irritation, please contact your GP. Some people may suffer an allergic reaction. Be sure to tell your aromatherapist if you suffer from any allergies or are prone to skin sensitivity so they can take necessary precautions. Elderly people, children and pregnant women are advised to seek medical advice before trying aromatherapy. There are also some instances where the oils may interfere with prescribed medication. Do inform your aromatherapist of any medications you are taking during the initial consultation. What qualifications and experience should an aromatherapist have? 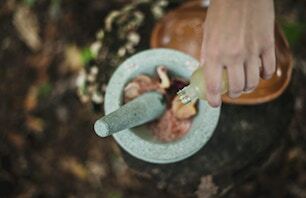 At present, there are no legal requirements to stipulate the levels of training an aromatherapist must have to practice. The industry seeks to comply with the standards of practice and speaking generally, aromatherapists should have a high standard of training in anatomy and physiology, as well as in the use of essential oils. Many will also be trained in aromatherapy massage. There are several professional bodies that voluntarily regulate the industry. If a professional joins one of these bodies, they will require specific training. Many bodies also ask members to develop their skills with a continued professional development course. Aromatherapists listed on Therapy Directory have shown evidence of training and insurance, or are members of a professional body. You can find out more about this on our Proof Policy page. Aromatherapists will often talk you through ways of using aromatherapy at home so you can continue to reap the benefits. Here are just a few ways you can incorporate the power of essential oils into your daily routine. Added to bath water – Many people like to add essential oils to a warm bath to promote a more relaxing soak. Speak to your aromatherapist for advice on which oils will best suit your needs and whether or not they need diluting. Steamed – This is especially helpful if you’re feeling congested. Simply add a few drops of your chosen essential oil to a bowl filled with hot water and inhale the steam. Burned – Burning essential oils through an oil burner is a popular use of aromatherapy. The oil is placed on a shallow surface, above a candle. The heat of the candle slowly burns the oil, encouraging the scent to fill the room. Inhaled – A great way to get a quick boost from your chosen essential oil is to have a small vile at your desk. This way you can directly inhale your oils and reap the benefits, even on the move! If you have asthma or suffer from other respiratory conditions, please consult your GP first. Sprayed onto fabric – An enjoyable, easy way to bring aromatherapy into your home is to add some essential oils to a room spray. You can spray them on furniture, bed linens or pillows to add a relaxing, comforting scent. To ensure the mixture won’t stain or damage the fabrics, be sure to consult an aromatherapist. 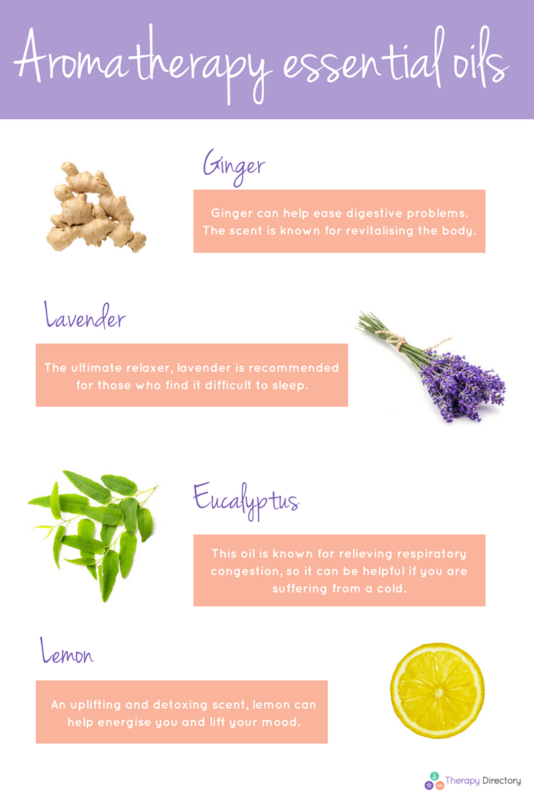 There are hundreds of different aromatherapy oils, all of which have different benefits. An aromatherapist may recommend a single oil for the treatment, but it is likely they will use a combination. Ginger – Ginger can help ease digestive problems. The scent is known for revitalising the body. Lavender – The ultimate relaxer, lavender is recommended for those who find it difficult to sleep. Clary sage – This oil is believed to manage labour pains and relieve menstrual cramps. It is also known for its stress relieving properties. Eucalyptus – This oil is known for relieving respiratory congestion, so it can be helpful if you are suffering from a cold. Peppermint – Mint is an energising oil which may help ease migraines and relieve nausea. Lemon – An uplifting and detoxing scent, lemon can help energise you and lift your mood. Fennel – Fennel is thought to help the digestive system and encourage menstrual regulation. Mandarin – A calming oil with a warming citrus scent. It is often combined with lavender oil to help children relax.